Trevor Clark Trio is hard to define. The bands eclectic sound falls in line with the hybrid genres of the acoustic music of today. With expressive vocals, harmonizing fiddle lines, and grooved pavement bass runs, the three together entice listeners and soothe souls. 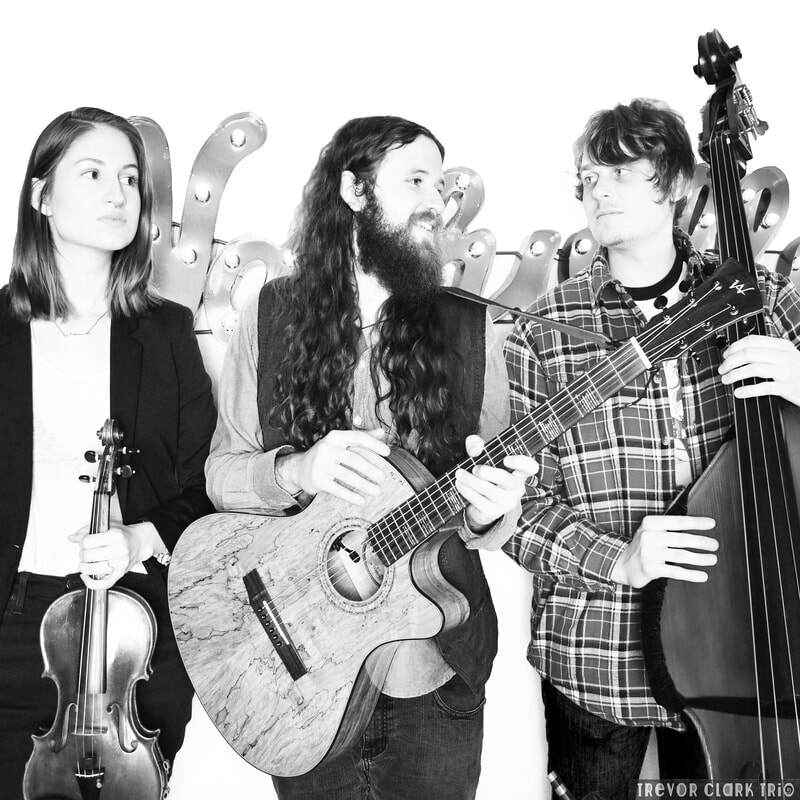 The bands sound is borderless across bluegrass, rock, funk, and folk, and harnesses tributary inspiration to musical greats such as Tom Petty, the Grateful Dead, Bill Monroe, Keller Williams, and more. Although the band formed in Music City, Tennessee, all three members coincidentally were born and raised in Illinois. Through fate, friends, and a little bit of luck, a match was lit and boom, the trio was formed. The enthusiastic bunch can now be caught laying musical peace bombs around Nashville and beyond.